SLO Natural Foods Co-op is owned by our membership and governed by a volunteer Board of Directors. The Board generally meets every other month. Our next meeting is scheduled for April 13th, 2019 (time and location TBD) and then our Annual Members meeting will be a special meeting on Thursday, May 16th from 6-8pm at the SLO Guild Hall. See complete information and an application in our Board Candidate Application Packet (word version) or Application Packet (in pdf version). In the meantime, we encourage you to get to know our current Board of Directors! 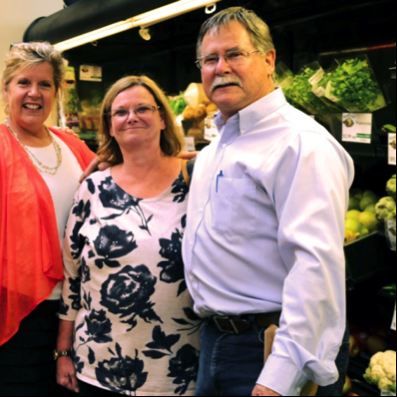 San Luis Obispo County is home to many different grocery stores, but none are quite as special as our co-op. Moving here from Southern California to study Broadcast Journalism at Cal Poly introduced me to so many hidden gems, including what is now known as SLO Natural Foods. As a regular customer of the co-op for the past 8 years, it has been a real joy watching all of the amazing changes that have occurred. It excites me to be a part of this board, so I can be involved with an organization that shares my values and supports our local community. As a Certified Massage Therapist and owner of SLOCO Massage & Wellness Spa, I've been on a journey of learning how to be kinder to myself and to the planet while educating the people around me on how to take baby steps to kick start their journey. I am very big on learning about ingredients, too, and have done a lot of research on quality natural products that work, so I may even be able to introduce some popular products that support the co-op's mission of empowering the community with information. Once people understand what is in the food found in more traditional grocery stores, they will realize there is no better place to shop than the co-op! The Organic foods movement led to my involvement with the Co-op first as a farmer supplying eggs and produce and later as an investor through SLOW MONEY SLO to help move the store to it’s current location. I grew up in a food and farm family in the Pajaro Valley in Santa Cruz County, picking and packing ollalieberries, plums, and apples. After high school, I moved to San Luis Obispo to attend Cal Poly on a football scholarship. Later, I taught and coached high school tennis. In the late 70’s, when real estate was booming, I jumped in head-first and eventually owned franchises of both Coldwell Banker and Better Homes & Gardens. I also developed small subdivisions and townhome projects in Atascadero. The Cooperative business model provides an alternative to the basic profit-motivated economic system. As members of the COOP, we own the store and keep any profits local, re-distributing throughout the community rather than in some hedge-fund in Manhattan. As a Director of our SLO Natural Foods Coop, I want to continue to contribute to our success and have a voice in plans for our future. Unlike the other Board Members my passion for food is mostly around consuming it! However I am very passionate about seeing small businesses thrive in our community, and that was my reason for joining the Board. I have had 25 years of experience in the corporate arena where I served as a C-Level executive of four environmental equipment companies, the largest of which had over 1000 employees. For 15 years I have been involved in coaching business owners to improve results as well as placing candidates into small business ownership through franchise purchases. education and mentorship. I also support the SCORE mission by being the fundraising liaison for our banking sponsors. While I have lived all over the country, there is no place that tops the Central Coast! I grew up in Denver, went to college in Boston, received a law degree at UCLA, and raised my kids in East Hampton, NY where I had a successful career in real estate. When I discovered the Central Coast I knew I had found my home and have set about rebuilding my real estate business here at The Avenue Central Coast Realty. Part of what makes this area such a fantastic place to live is the wide variety of local, healthy food options. 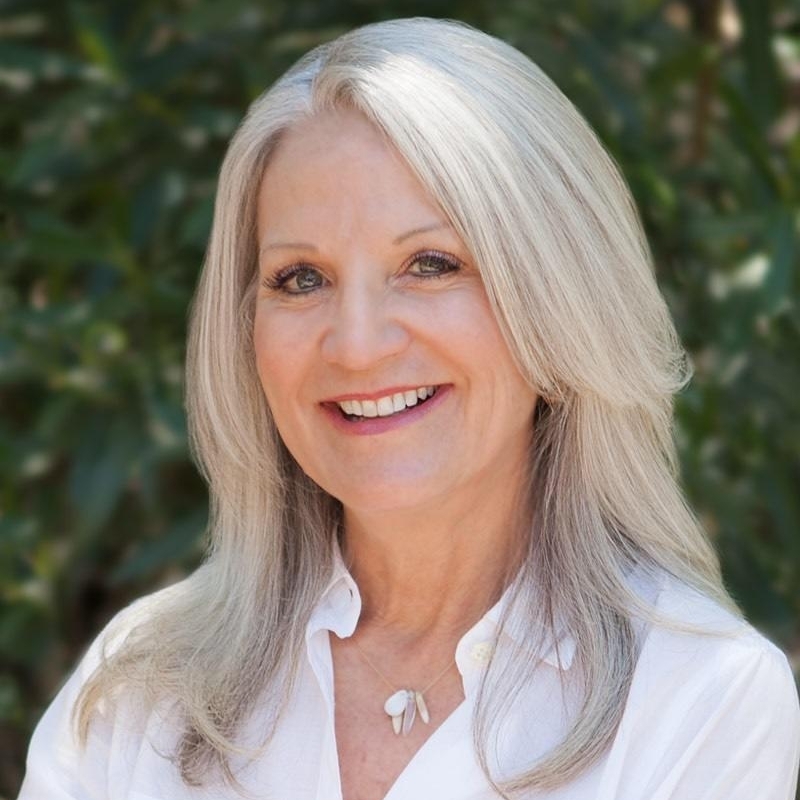 Eating wholesome nourishing foods is a big priority for me and I am so delighted to pursue this priority, not just for me but for the entire community, by serving on the SLO Natural Foods Co-op Board of Directors. Growing in a very health and wellness conscious family, SLO Natural Foods Coop, Inc. represents the perfect fit for that continued pursuit today. Always seeking the latest health, medical, and nutritional studies with evidence based science, SLO Natural Foods aligns with what I believe is most needed for healthy community and greater society related to food choices. Food is our fuel, the one constant underlying our existence, along with clean water. Ironically, my educational background started out with completion of pre-medical studies working toward a degree in anesthesiology. However, a sudden inflection in a new direction in environmental science, chemistry, and geology, lead toward a different career path altogether. But my passion for all things health and medial related has been a constant throughout my life. This is why I was so happy to find a coop in San Luis Obispo after having moved back to the Central Coast in 1998; and since then, I’ve shopped at what was known as the “Cuesta Coop,” which evolved into the amazing SLO Natural Foods Coop of today. All the while, I’ve been interested in supporting locally produced foods, with the follow-on benefits to the local people who produce those foods choices. This is why I believe having and sustaining the Coop is of upmost importance for our community, and broader area more generally. All the above benefits coupled with my own pursuit of health are reasons why I have served as a member of the Coop Board of Directors over the years. My goal is to make the wisest decisions possible in the best interests of the Co-op membership, Co-op employees working on behalf of our membership, our local producers and vendors, and our and our non-member shoppers. Barrie attended Cal Poly SLO, received my Bachelors in Environmental Engineering, and have lived in SLO County for the past 10 years. I love to bake desserts and learn about herbs and fermentations. I found that having a grocery store like SLO Natural Foods where nearly everything is organic, local, and/or sustainably sourced makes it easier to eat healthy. For me, the Co-op is also much more, it's about building community and empowering the people in our community. "What could we accomplish if each one of us could bring our best skills forward to create positive transformation together?" That is something worth working on. -- Thank you, Barrie, for your service to the Co-op and our Community.